Location Grinton PasturesWych elm pollards on and close to the eastern dike of the Grinton-Fremington Cross Valley Linear Earthwork. Geology Glacial drift covered Lower Dale Slopes. 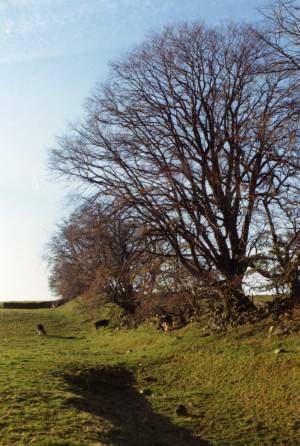 Record Name Wych elm pollards on and close to the eastern dike of the Grinton-Fremington Linear Earthworks. Record Description This record includes a photograph taken during the late 1980's which shows the woodland on the earthwork as it existed before Dutch Elm Disease took final toll of the elm trees. The good news is that several of the ancient wych elms thought to be dead are throwing up young shoots from the root system. This raises the question : How old are the saplings from these trees? Possible answer: The calander age of the sapling 5 years. The genetic age of the sapling: medieval! 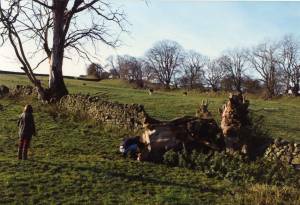 Additional Notes Andrew Fleming first recognised the significance of the ancient Wych Elms which were recently such a fine teature of the Lower Pastures of Swaledale. Andrew is seen here counting the tree rings of the ongrowth from a large elm pollard to determine the date of the previous cuts from the pollard. Most elm pollards were last cut around 120-180 years ago. 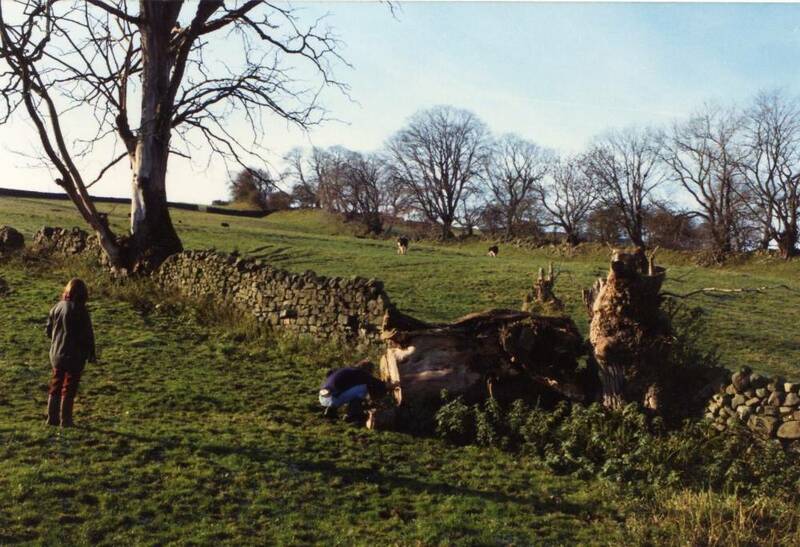 Image 1 Description Andrew Fleming first recognised the significance of the ancient Wych Elms which were recently such a fine feature of the Lower Pastures of Swaledale.